Could you survive autumn without eating a single apple? I couldn't, especially since I rarely consume an apple out of season. Yep, that's right. I'm one of those die hard, uber-freak, eat-what's-in-season, food supremacists. Corn on the cob in April? Grapefruit in June? Strawberries in December? No friggin' way, man. Is it snobby? No. It's normal. And eating in season is much more tasty. 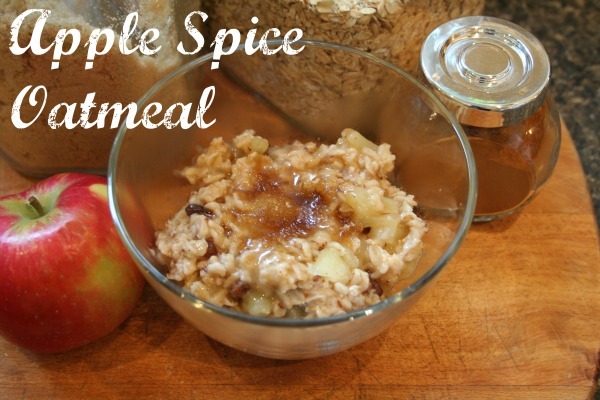 Today, Rowan and I started our day with an autumn and winter staple - oatmeal. And this recipe is so good, I absolutely have to share it with you. 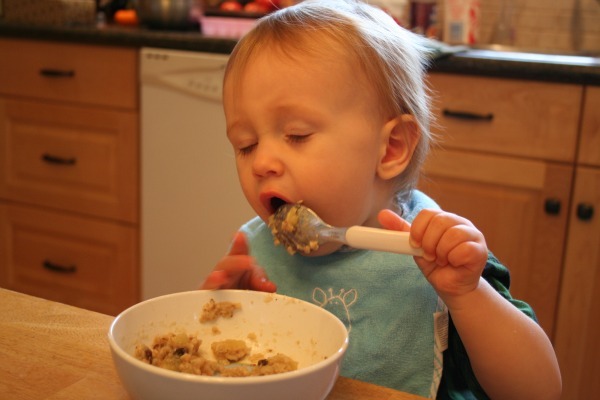 Yields enough oatmeal for one hungry parent and a rapidly growing toddler. I'll warn you, I don't really measure anything but the oatmeal/water ratio. So, I'm guessing on most of the measurements. 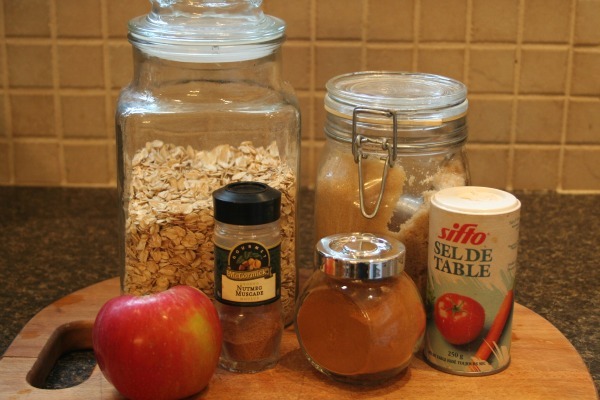 Also, I use large flake rolled oats instead of instant or quick oats. For the reason why this is important, please read this article. 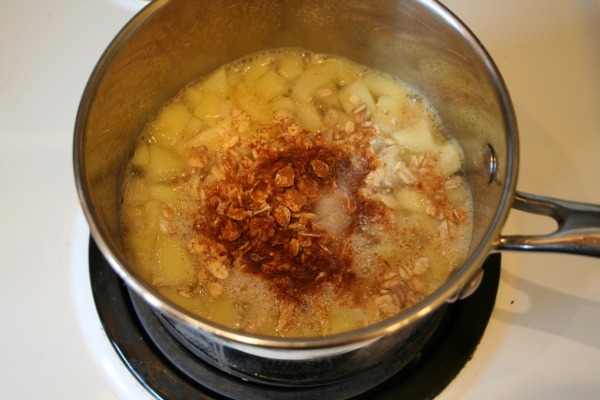 On high heat, bring water and apple to a boil. Reduce heat to medium, cook for one minute. 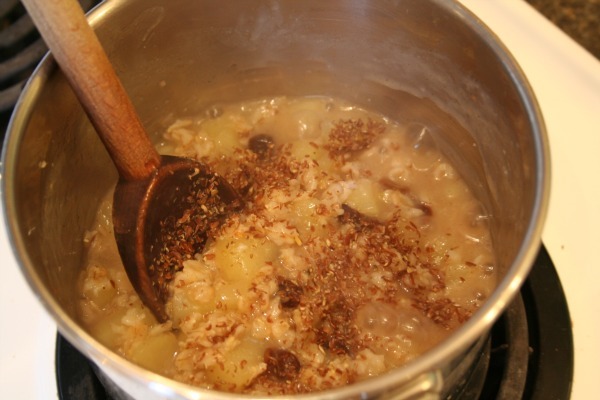 Add oatmeal, cinnamon, nutmeg and salt. Sometimes I like to add a small handful of raisins. 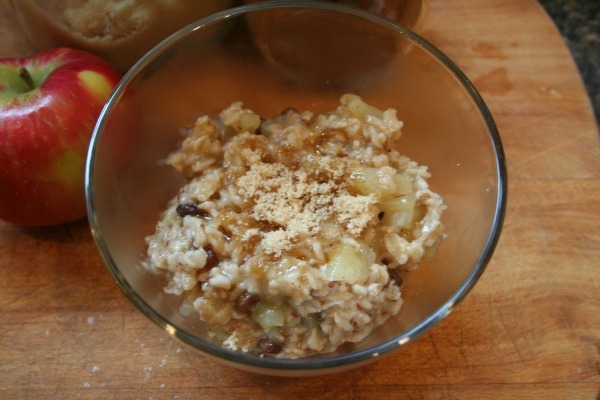 Cooking the oatmeal with apple and raisins give it a nice sweetness, requiring less refined sugar. 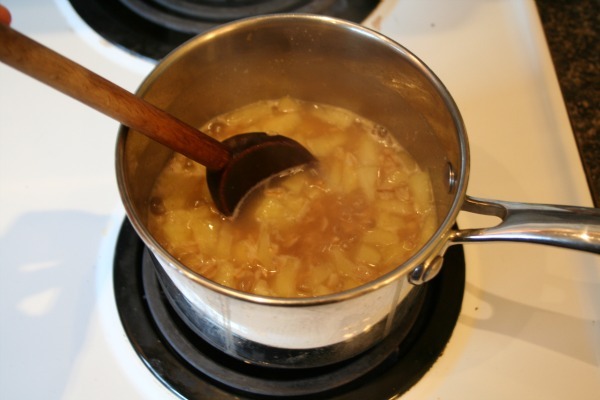 Cook for five minutes, stirring occasionally, until oatmeal has absorbed most of the water. Add a small sprinkle (maybe 1/2 tsp? I dunno...sorry!) of flax seed if desired. Be sure not to add too much flax, it will make the oatmeal bitter. Continue cooking until all the water has been absorbed, about a minute or so. 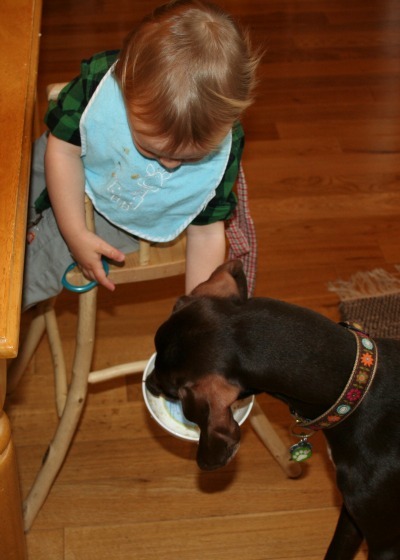 If you're at all concerned, flax seed is perfectly safe for children over 7 months of age. 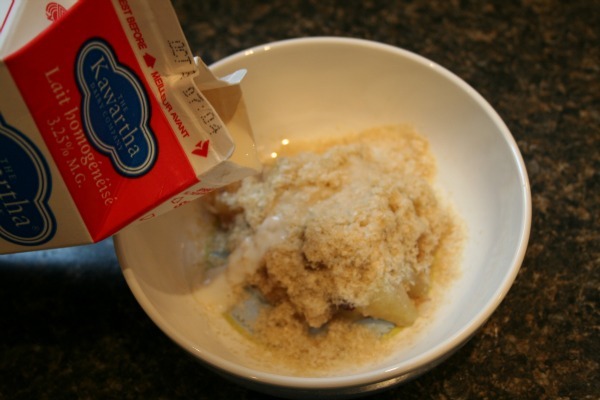 I also add a little bit of whole milk to bring the oatmeal back to a desired consistency. If your child is under nine months, do not use cow's (or goat, sheep, raccoon or any other mammal) milk. 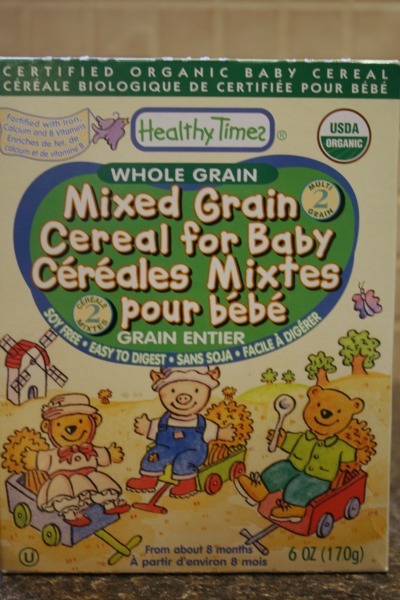 Also, if you ARE sharing this oatmeal with a babe under nine months, keep in mind that the spices, salt and chunky apple bits might not be the greatest idea. 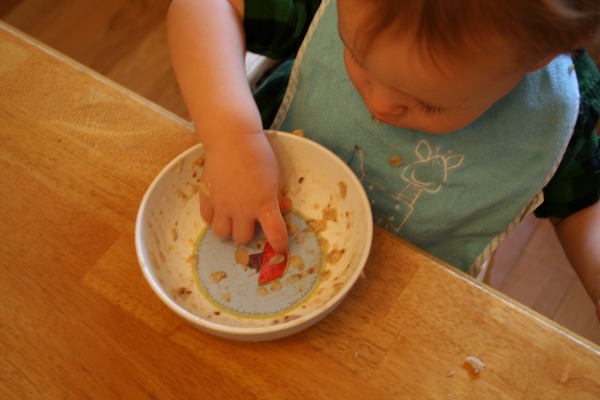 To make this more palatable for solid food newbies, skip the spice and grate the apple. And use your best judgment. For the grown-ups, spoon out the remaining oatmeal, sprinkle with brown sugar, or drizzle with honey or maple syrup to taste. Rowan doesn't get to enjoy this part...yet. Enjoy!! Now, doesn't that taste better than the pre-packaged instant oatmeal crap? And much healthier too :) Try it this week, let me know what you think! Sounds great! I think this is what we'll have tomorrow morning! Haha!! I will add the goat reference to her list of animals she looks like.